The imagePROGRAF iPF8400 Large Format printer is ideal for helping dedicated artisans and demanding graphic professionals achieve extraordinary results. 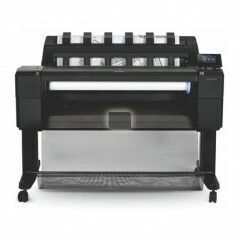 This highly versatile large-format printing system delivers high-quality photo and fine art printing up to 44” wide. The imagePROGRAF iPF8400 offers exceptional quality with smooth gradations at breath-taking speeds. Canon has always been known for its world-class optical and imaging products such as photocopiers, camcorders and cameras. Most especially, the Japanese multinational company is famous for its computer printers that never fail to print a graphic exactly as how it appears on Photoshop. Canon’s iPF8400 printer boasts of its two main benefits—versatility and cost-efficiency. – Versatility – It is safe to say that the printer is extremely versatile considering its multi-connectivity options, as well as its high internal and external storage capacity. – Cost-Efficiency – Many also consider it as cost-efficient because of its built-in cost management software. With this software, users can easily calculate the cost of printing per page. – Ease of Use – iPF8400 comes with a large LCD screen and a wide array of tools and plug-ins for PCs and Macs. Its most loved plug-in so far is the Photoshop plugin that allows users to adjust, proof, optimise and manipulate images before printing. Overall, Canon iPF8400 is the printer to buy if you want to increase your productivity in the office or at home. To get this printer at the most reasonable rate, make sure to browse online to compare the prices of different stores before making the purchase.